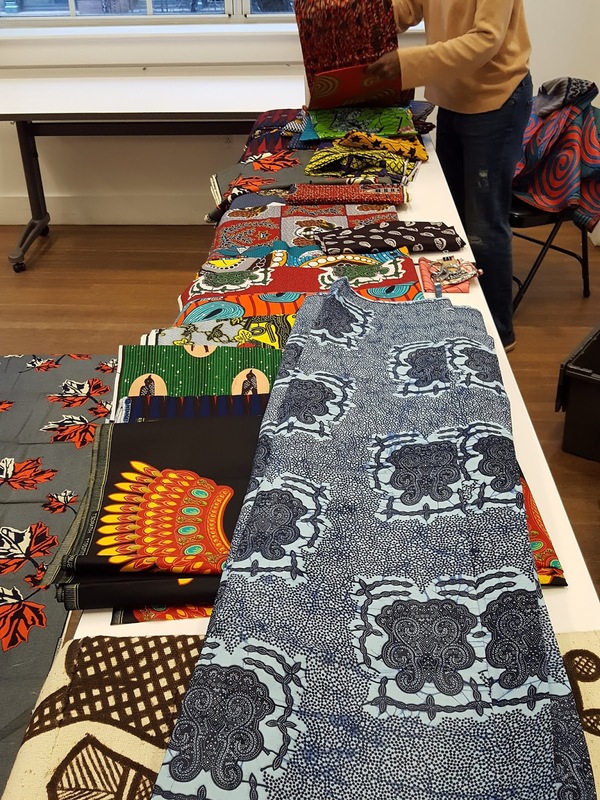 Gigi Henries Jones from Vai Girl brought her beautiful fabrics! "Vai" comes from the name of her tribe in Liberia. 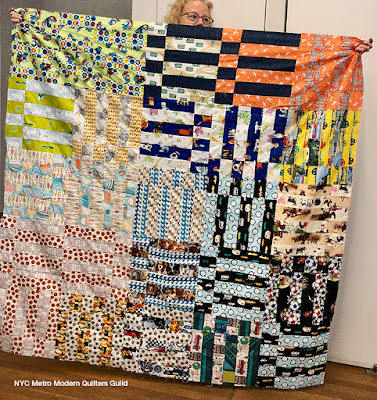 Thanks to Gotham Quilts (and Gigi) for some raffle goodies! Winter Retreat sign-ups are open. 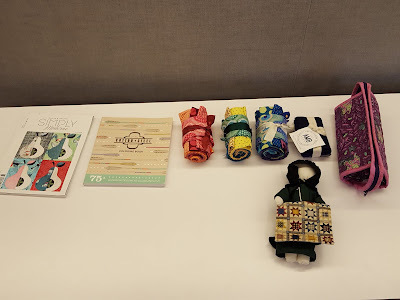 Our Holiday party in December will have food and a "White Elephant" swap. 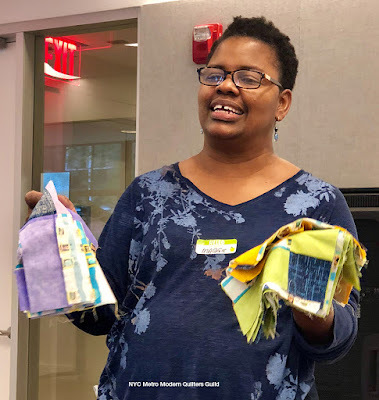 The Summer retreat is June 28-30. Sue brought in two centers made from leftover OBW blocks to start two new quilts. 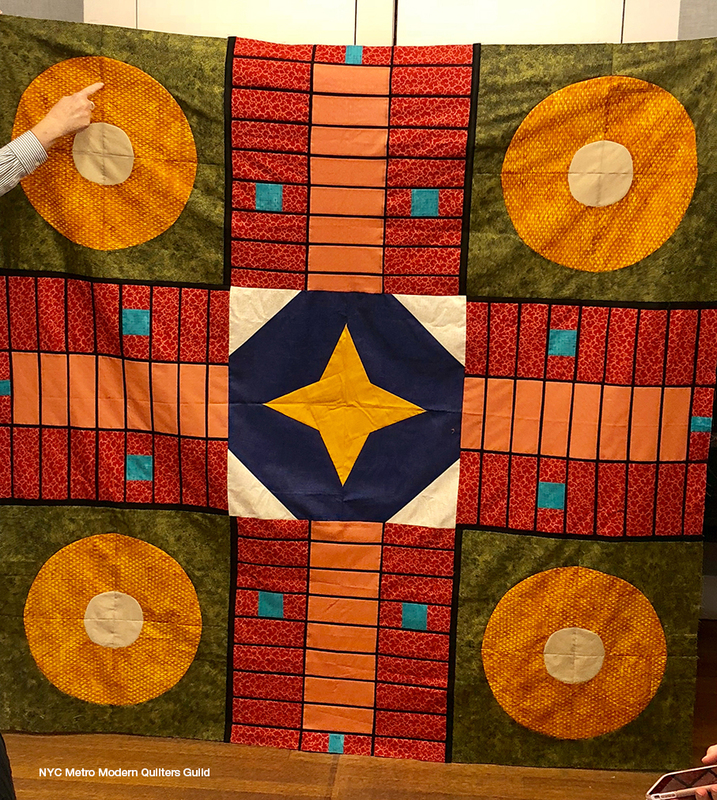 Andrea's quilt is inspired by the game "Clue", and each block represents a weapon, room, and/or person from the game. 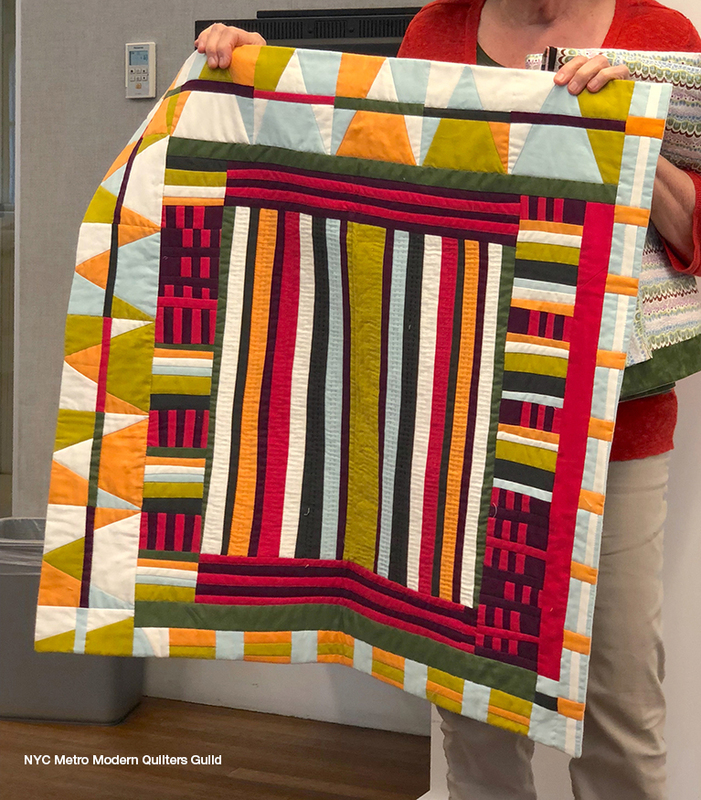 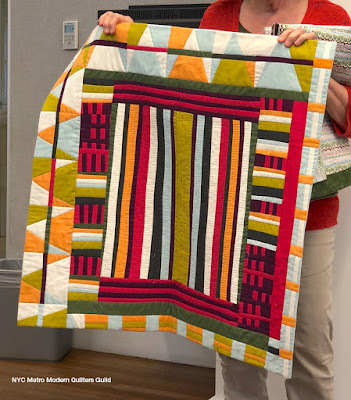 Lisa's quilt is her interpretation of the Parcheesi board. 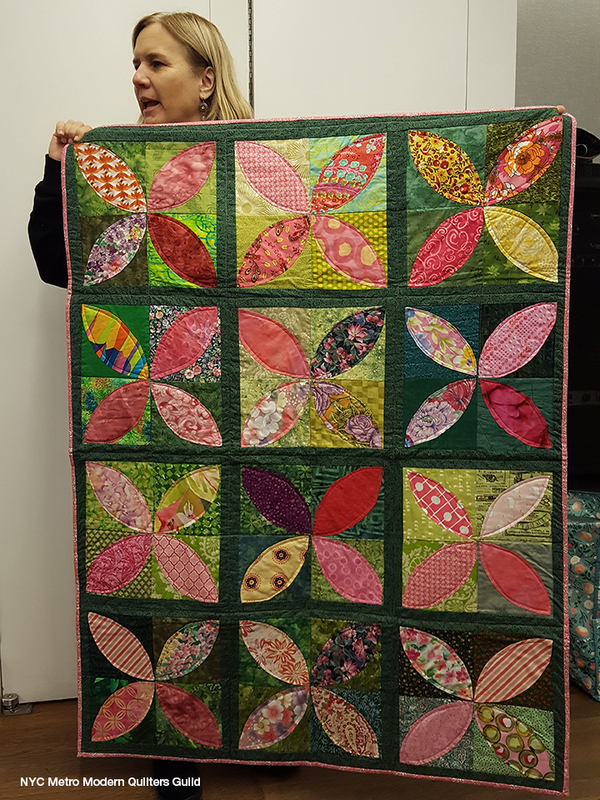 Maureen, who is our Charity chairperson, brought in this completed quilt with blocks created by many guild members. And this one, which has a masculine feel. 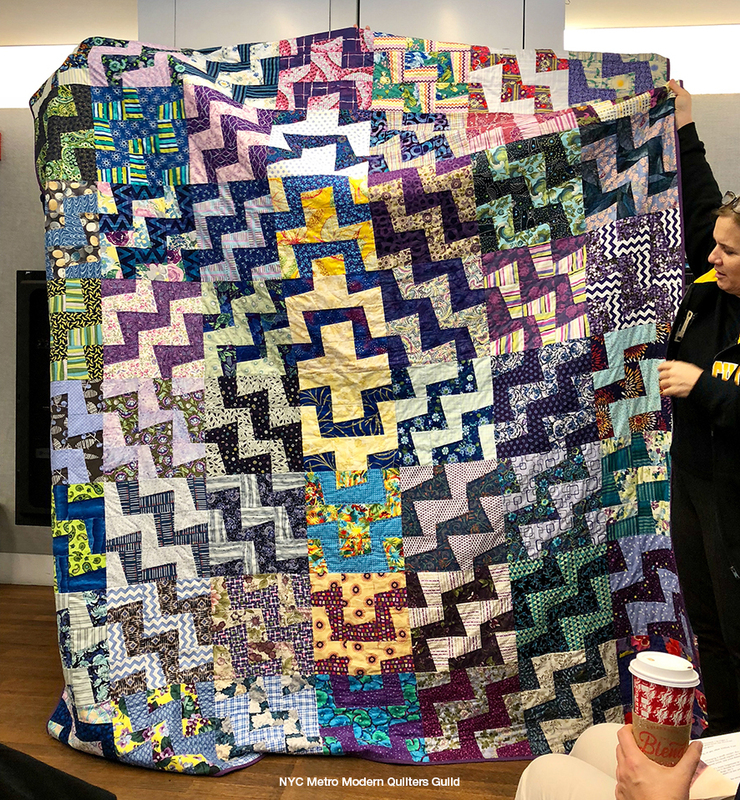 Plus, another Community quilt has been completed, should a member need a comforting gift. 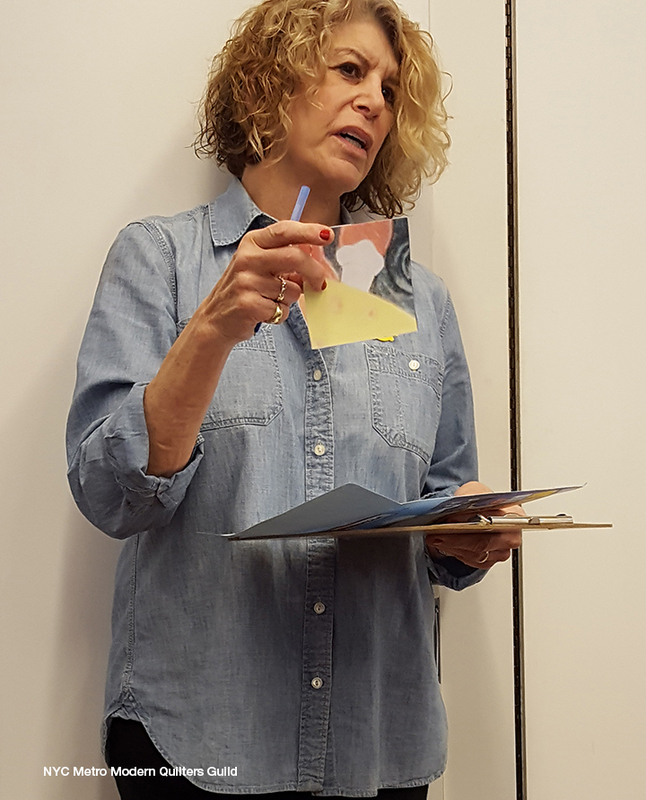 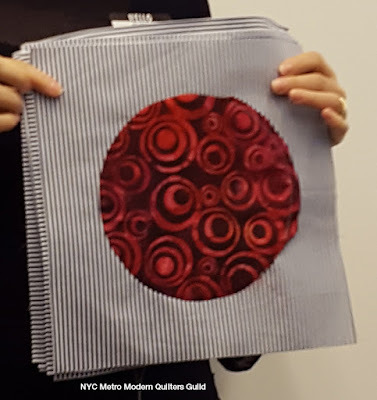 Chris introduced a new challenge where members create a block that is a piece of a larger artwork, without seeing the entire artwork first. 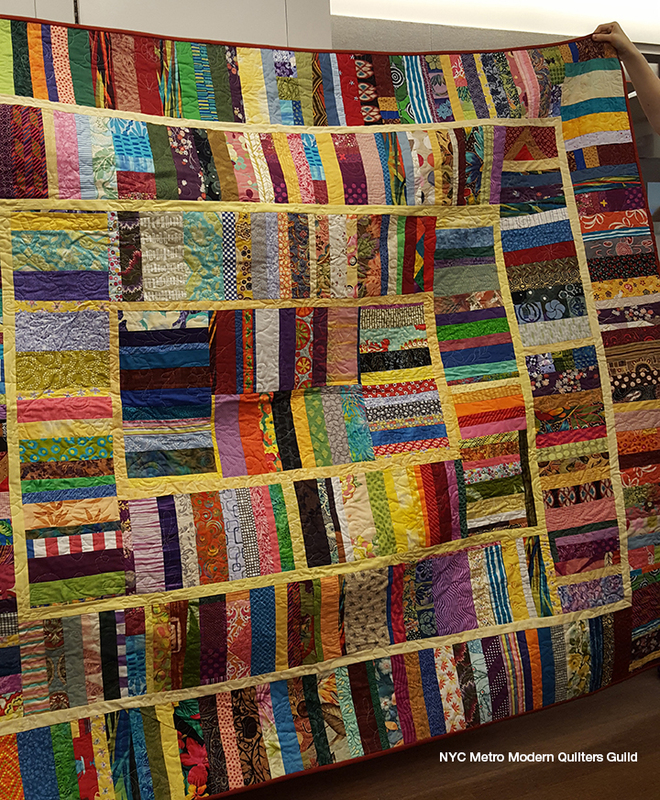 She also brought this quilt in progress, which other members helped her lay out. 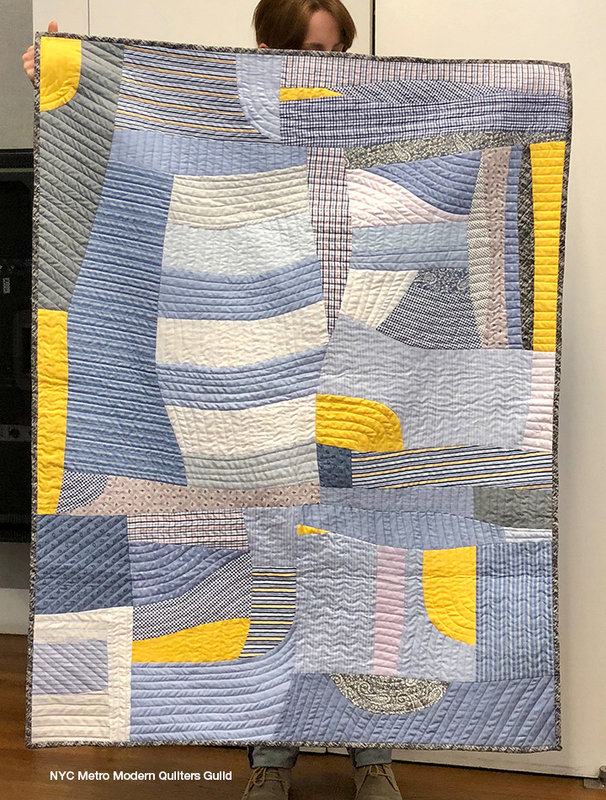 Maureen made this "fracture" quilt for herself and hand quilted it. 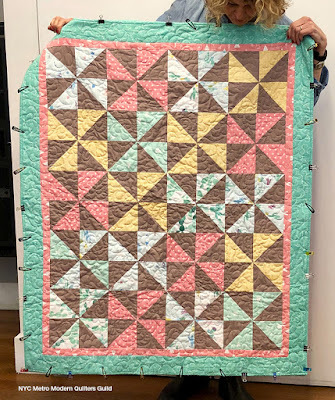 Lisa finished her double wedding ring quilt which she will be teaching soon. 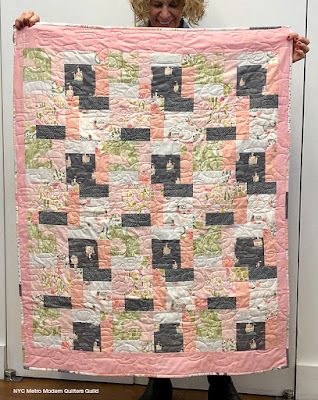 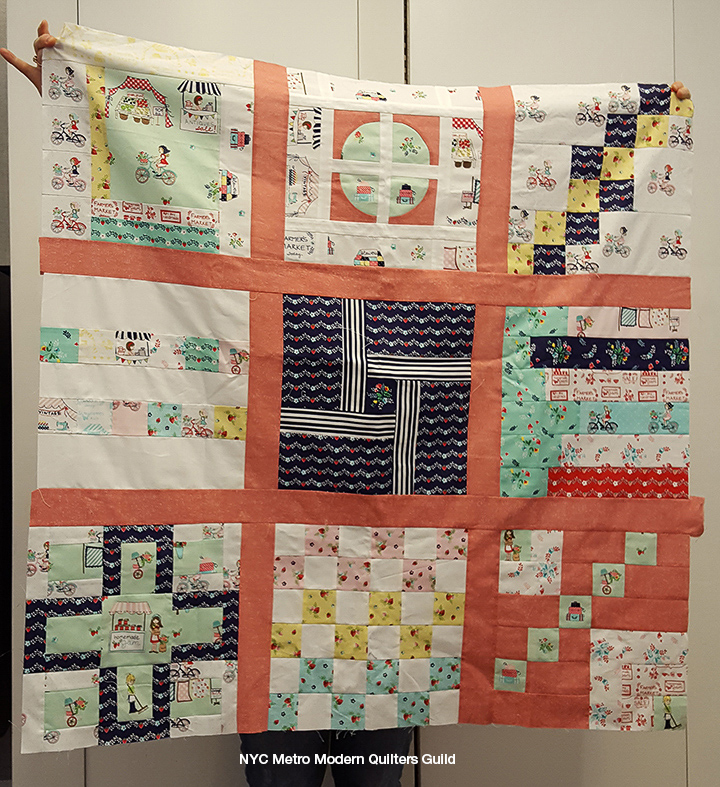 Theresa finished this baby quilt she started 20 years ago! 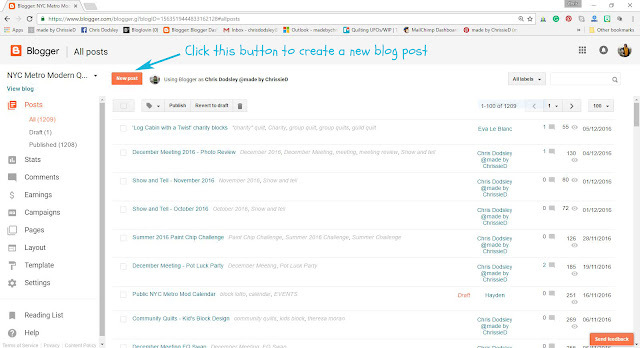 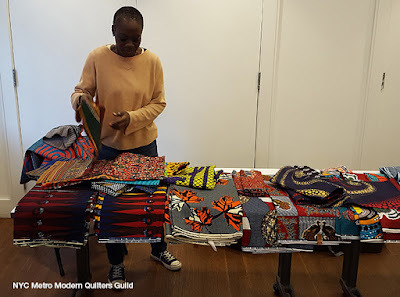 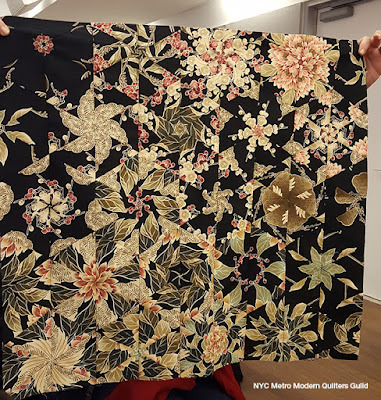 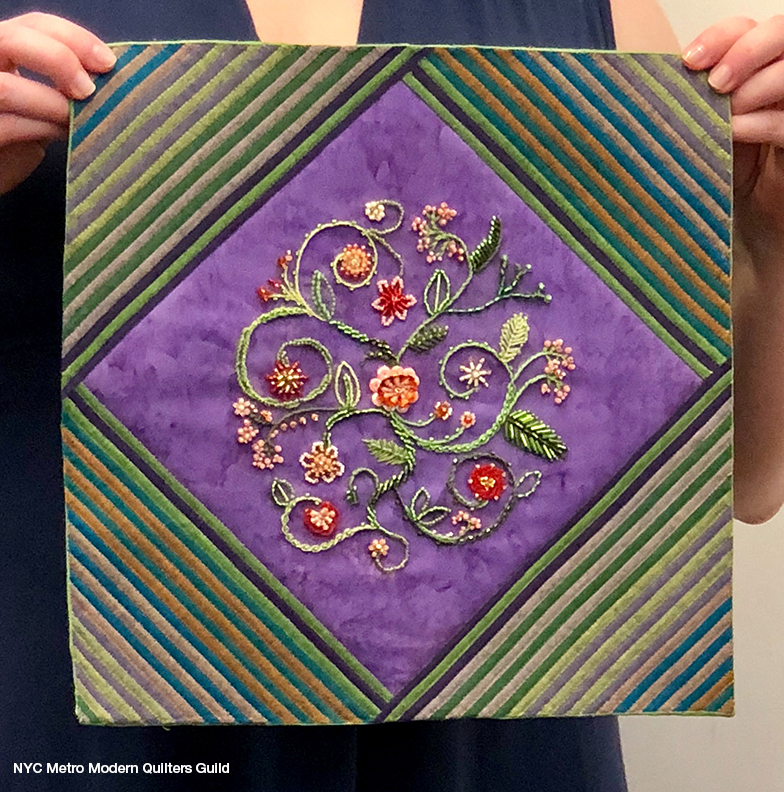 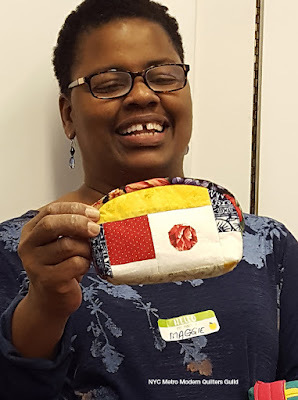 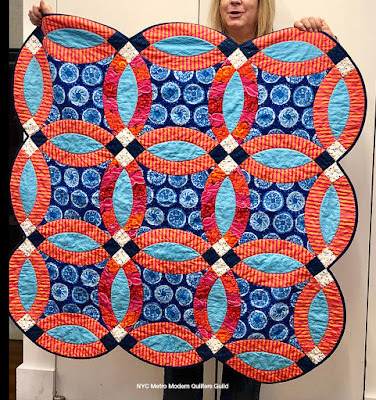 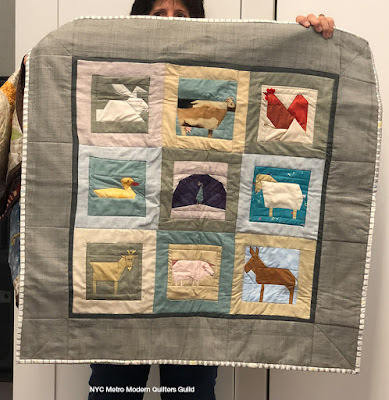 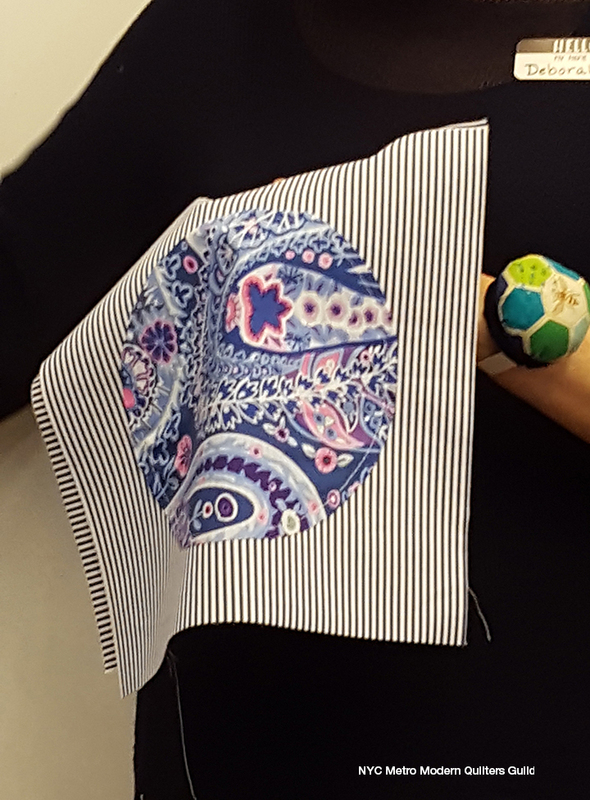 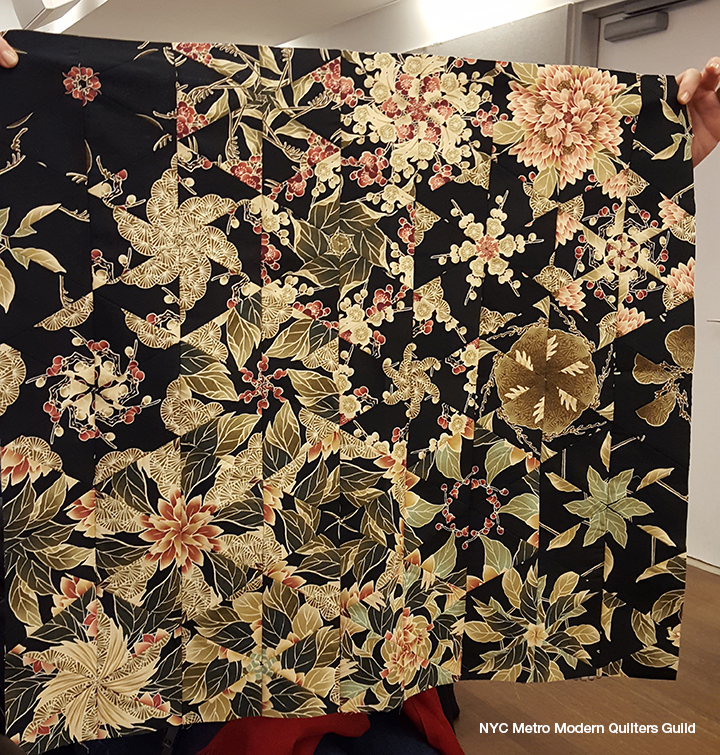 Thanks for visiting the NYC Metro Modern Quilters Guild blog! 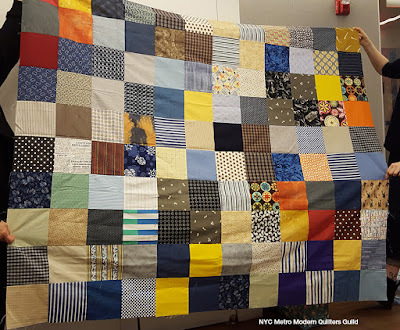 We appreciate your comments. 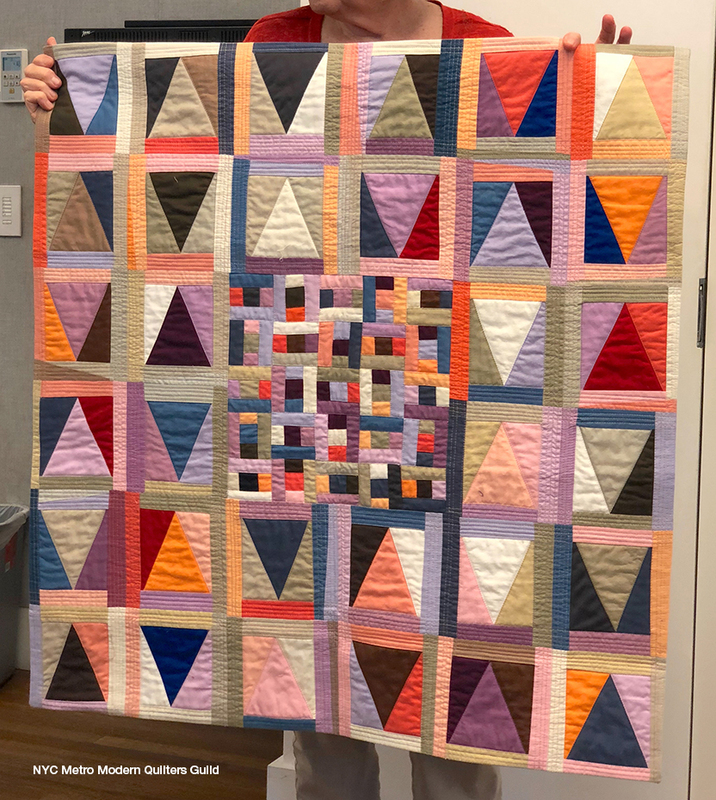 Block Lotto for March: A Scrappy "Rocky Road to Kansas"! 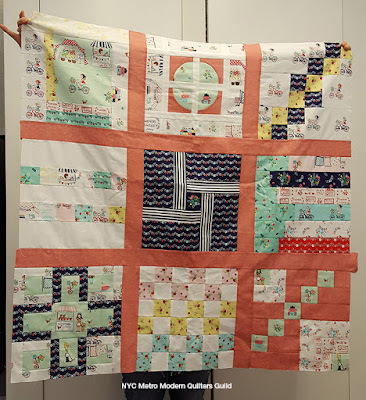 Lots of Eye Candy! Usha from Handloom Batik brought her wonderful fabrics. 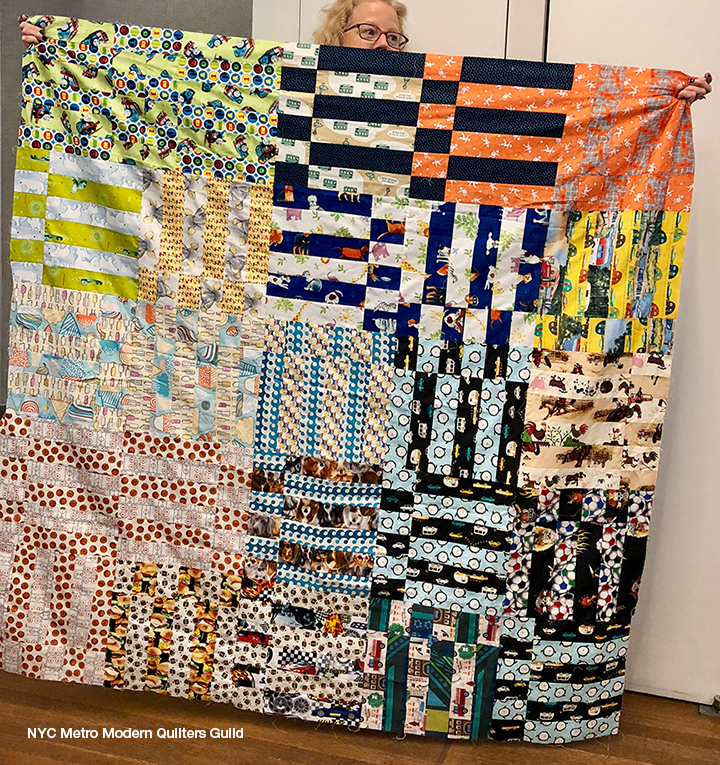 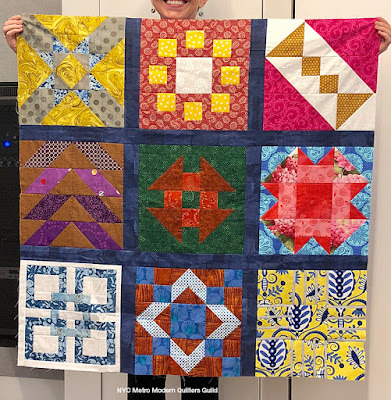 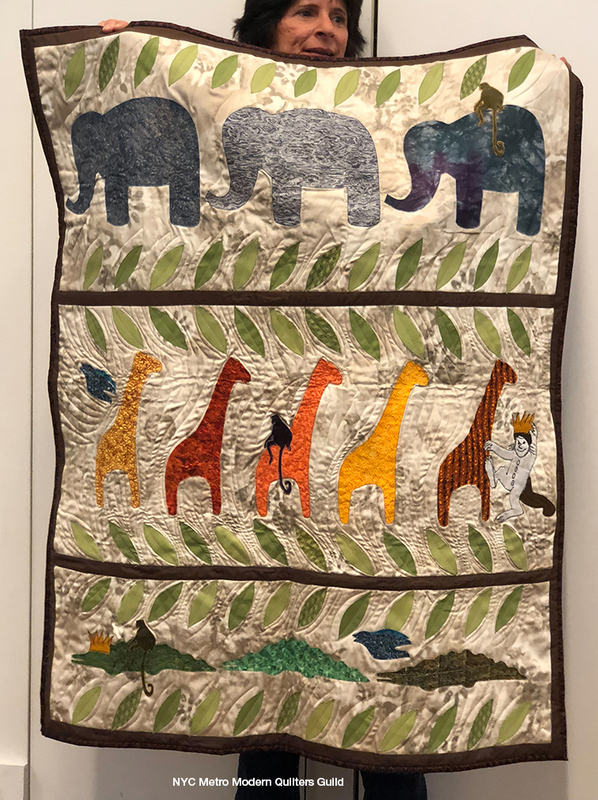 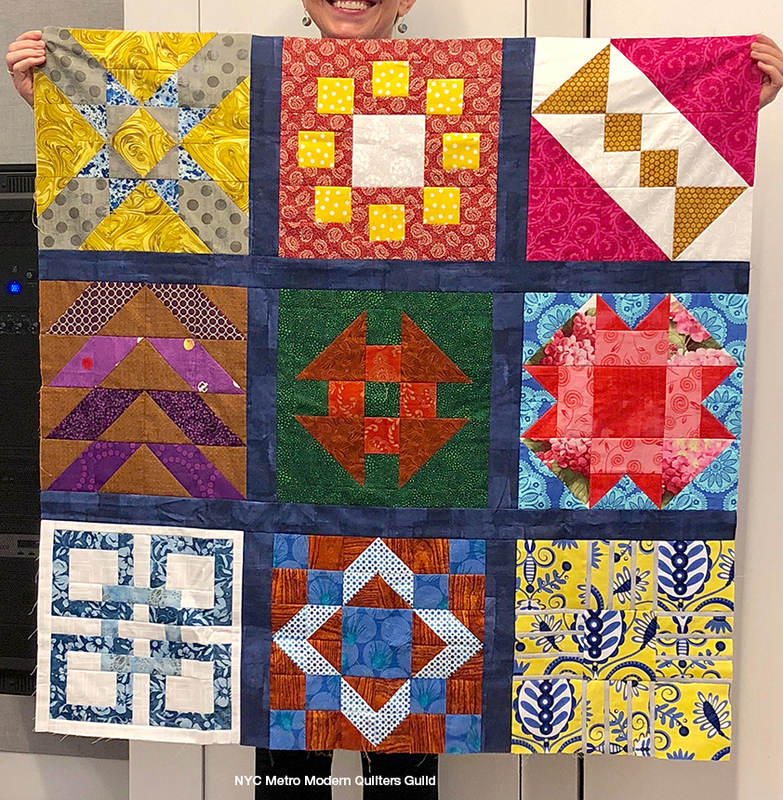 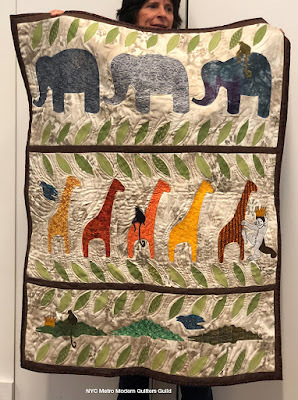 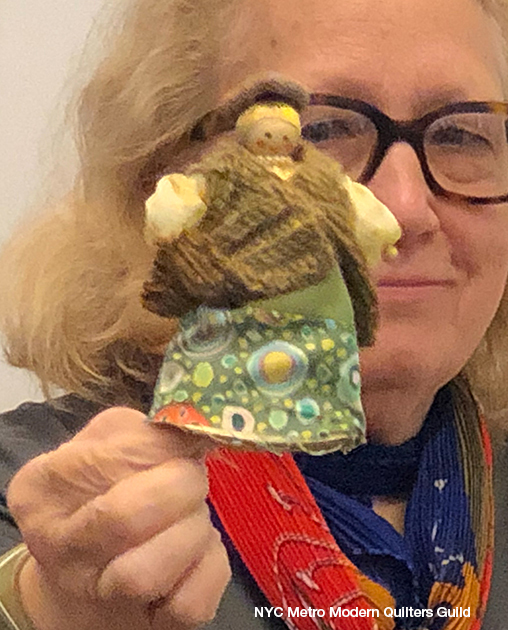 Carolyn Friedlander is coming to Gotham Quilts! 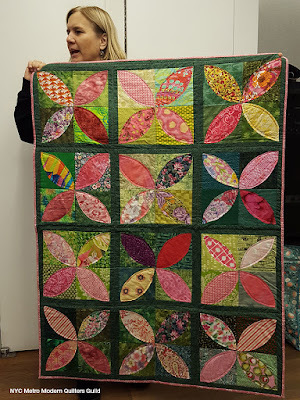 Feathered Star Best in Show!